HONO GOLF is a professional R&D manufactory for golf products in Taiwan. We produce golf club heads, Shaft and grips, Club Fitting Equipment, performance golf clubs, Unique Putters, Rubber Tees and other unique accessories. The new products researched and developed by HONO have the characteristics of originality and practicality. HONO unceasingly develops and creates new products, and keep golfers enjoying the entertainments of playing golf. At the standpoint of golf products, HONO has more function to uninterruptedly develop and make new products, and make efforts to innovating and making golf equipments with the ideal of sustained brand, and make golfers enjoy the true interests of playing golf. 1. 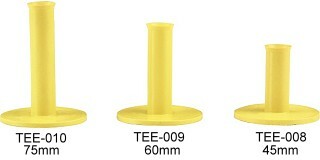 We do manufacturing and R&D in Golf field for several years. We dedicate our effort to develop unique products and have many patents. It will protect your market interest. 2. OEM and ODM service are available. 3. Originality, Great prices, Excellent service and Rigorous quality control. 4. We have wide range product lines and factory price offered so that can satisfy one stop shop. you don't need to contact many suppliers. It will save your much searching time, shipping cost and custom formalities.